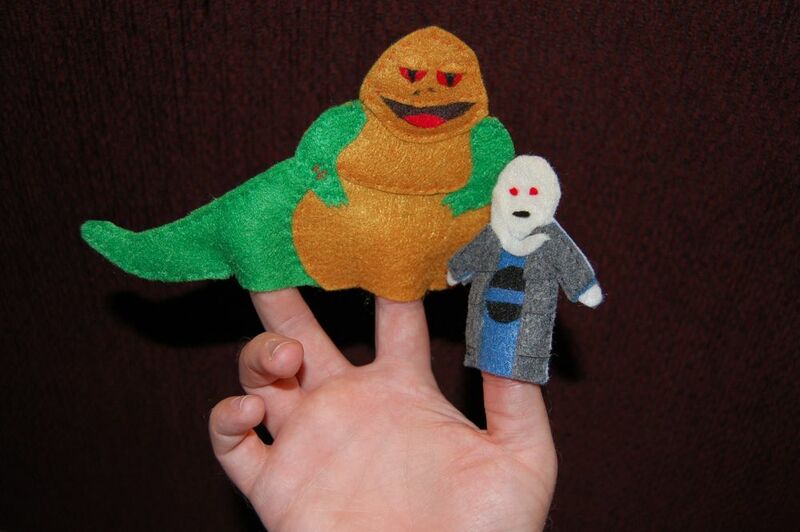 I was inspired by Bonnie Burton’s new Star Wars Craft Book and the reader submissions I posted a while ago to try my hand at making some finger puppets. These are my own design — Burton doesn’t really include instructions for these characters in the book. But I did take some hints about general construction from the book. I made these with craft felt from Michael’s. Some parts are sewn together, while others (like the facial features) were attached with fabric glue. I’ve never really done anything like this before, but I think they came out pretty well. My son and I enjoyed playing with them, so I’m thinking of making some more.